The U.S. Air Force Office of Special Investigations is tasked with providing, among other things, counter-intelligence operations in theaters in which their forces operate and that certainly includes Iraq and Afghanistan. One of their very best agents is Major Jericho Quinn. Born and raised in Alaska, Quinn is a very intelligent and driven man who is smart enough to survive in both the civilized and not-so-humane worlds that war usually creates. He is particularly adept for the action in the Middle East. In addition to speaking perfect Arabic with the skill to mimic various dialects, his copper skin coloring, a genetic gift from his Apache grandmother, makes it far easier for him to blend in. With a beard as needed, dressed in a dishdasha, he can come and go more places than his colleagues. The older of two brothers, Quinn earned a shot at the Air Force Academy and made the best of it, including becoming a Fulbright scholar. His love of languages and his skill at learning them, in addition to English, he speaks 4 natively and several more conversationally, made him a natural for recruitment by the OSI. His love of the action and his devotion to duty kept him there even though it cost him his marriage to Kimberly and took him away from his young daughter. 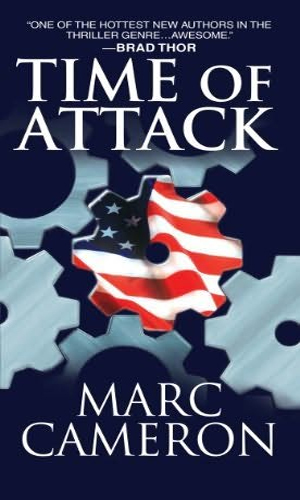 As the series begins, Quinn is out to save the lives of several servicemen captured by the enemy and targeted for execution. When he learns the location of one of the sites, he knows that time is of the essence but his superior wants to be in on the raid and orders him to stand down. He and a Marine gunnery sergeant disobey and save a couple of soldiers just as they were about to be killed. This resulted in being brought up on charges but cooler and more experienced heads prevailed. Moreover, the fact that one of the rescued was the grandson of the head of National Intelligence, Winfield Palmer, brought Quinn and the Marine, a Cajun named Thibodaux, to that man’s attention. Reviewing the service records of both men, he decide they were what he was seeking. As Palmer explained, he had a lot of highly sophisticated tools at his disposal but sometimes the best tool was a simple hammer. Blunt, powerful, direct. Quinn and his friend were such men and though they would on paper remain in their previous positions, they would be on call when Palmer and the President needed. The terrorist group in the Middle East has a biological weapon that could kill millions and they have perfected a human delivery system. Three such "bombs" are heading to the U.S. unless Jericho Quinn can stop them. 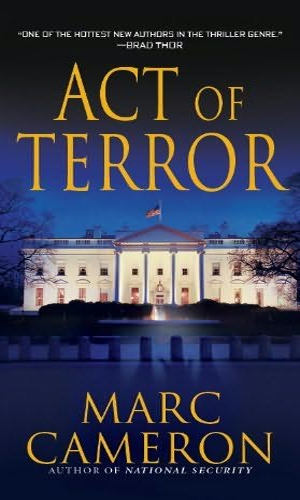 Around the country random acts of terror by its citizens have America up in arms and a witch hunt is beginning. The President decides that normal ways of handling it are not enough and he calls in Jericho Quinn to try his hand at smashing the opposition but Quinn is already marked for death. 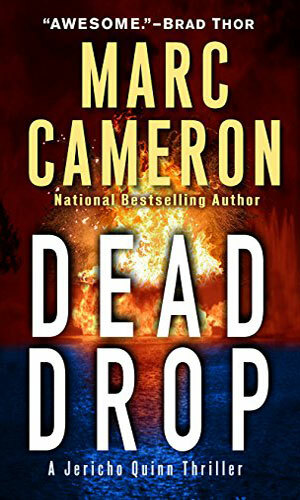 To track down the arms dealer who was behind dirty bomb explosions in the US and Russia, Jericho Quinn goes undercover in the Dakar Road Rally, a race that is about to become even deadlier than a desert competition already is. While seeking the one who attacked his family, Jericho Quinn uncovers a band of elite killers operating around the world. He decides that the time has come to end their services. Wanted for murder and being set up by members of the White House, Jericho Quinn takes his daughter onboard a flight to Russia to escape but then trouble starts on the plane and Quinn is trapped in the air. 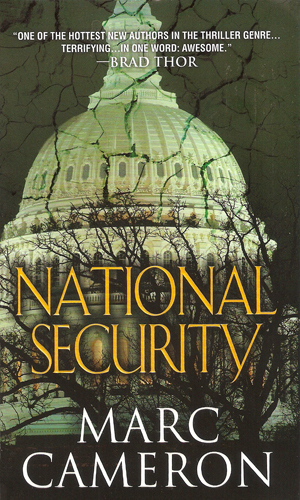 With the Presidency controlled by those who want to destroy this country, Jericho Quinn is finding himself hunted and at risk of being killed by his own. Even as he must hide, he is also taking the fight to the man behind it all. The nerve gas was called New Archangel and it was first used on Dallas. 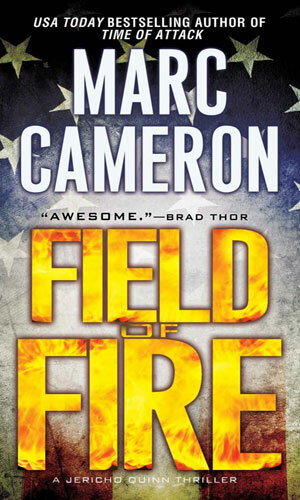 Jericho Quinn is pulled from rural Alaska to find the man who created the weapon to get a cure but the man, a Russian scientist, is suffering from dementia. The famous water park had an impressive slide called the Dead Drop. It is the target of a terrorist band who blow it up, killing dozens, and then taking the rest of the park's visitors hostage. One of those is Jericho Quinn, there with his daughter. 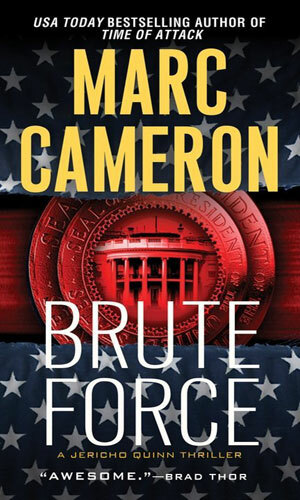 I love a good hard-hitting action series especially when it is in the spy genre and this series gives me the action several times over and does it with a character that is very likable and believable. 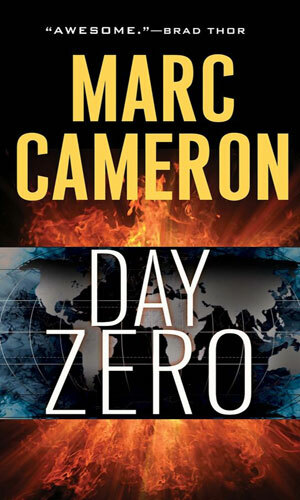 I devoured these books and if you like action, you will too. The use of the codename Hammer, though, is a tad misleading for it makes it sound like he is just a blunt instrument and Quinn is hardly just that. He is smart, both educationally and street-wise. He is willing to get his hands dirty but he is also willing to not take the shot if it means innocent people could die. That being said, if a hammer is called for, he can be a very powerful one. The series has some interesting and enjoyable supporting characters. The Marine Thibodaux is a hoot as is Quinn’s younger brother, Bo. Bo joked in the first book that the money his family saved with Jericho’s going to the Air Force Academy they were able to spend bailing him out of jail. Bo is a member of a Texas motorcycle gang that specializes in gray-area marketing. 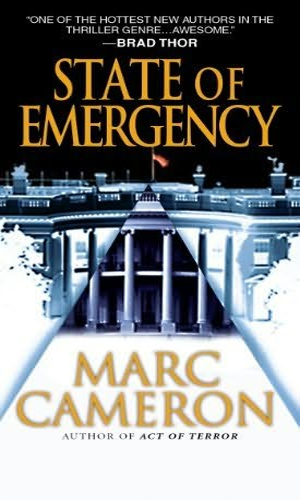 I very much appreciate the fun that the author, Marc Cameron, put into these books. They speak of dangers that are real and possible and present the reader with characters willing to go up against them. And he does so in a very entertaining, fun read.